Vehicle service providers are perfect when you want to take a break from driving, and enjoy a relaxing commute in the passenger seat. Especially during holidays and festive season, why not take a break from it all and take the much needed holiday with your friends, family and loved ones. 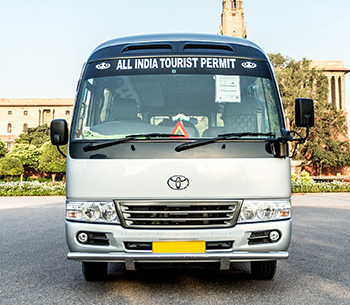 That being said, be sure to take the path less taken this year by hiring Toyota Coaster on rent from a renowned Toyota Coaster rental service provider like KTC India. After getting off from the flight with all that heavy luggage, be sure that you have arranged for a chauffeured rental vehicle for a relaxing experience. Why hire a chauffeured vehicle? A chauffeured vehicle is your best bet when you want to get around in an unknown place easily and in minimal time without delay. 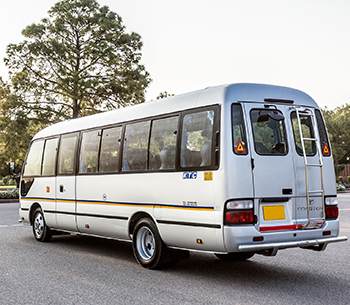 People have a false notion that they can easily get their hands on a vehicle rental service provider the moment they land at their destination. Well, it should be kept in mind that, such is not the case always especially when you are travelling to a destination in the peak season. Chances are really high that you won’t be able to get hold of our services since we might be having our hands full. 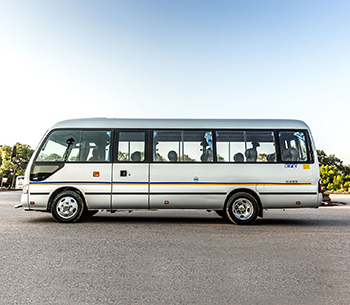 It is best to pre-book a chauffeured rental vehicle for a seamless experience. This is how most of our regular clients prefer. We have a regular client base who are quite happy with our services and continue to use them on a regular basis. When you are on a holiday with your loved ones, you need to make sure that all your family members are safe from unnecessary problems and hiccups. It is best to make sure that the vehicle rental service provider has all the necessary permits and paperwork. In case, your rented vehicle is in the centre of a mishap and lacks the necessary paperwork, chances are high that the authorities might also reel you and your family into the investigation and that would be the last thing you want out of a holiday right? We at KTC take care of all the necessary documentation as we are skilled professionals with a large client base. It is best to choose a vehicle that has a lot of space in terms of headroom, legroom and luggage stashing space. 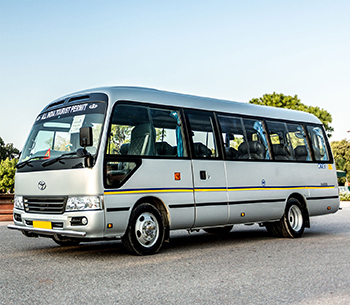 It is best to partner up with us as we have several Toyota Hiace Coaster in our fleet. 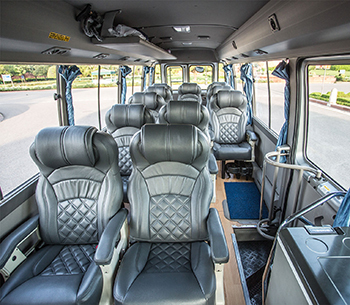 KTC will be perfect for you in case you are taking your whole family and your friends for the trip. Feeling intrigued? Need more information about the packages we offer? Feel free to drop in a line or two. You can also give us a call, we will answer all your queries.